CHICAGO (WLS) -- ABC 7 will bring Chicagoans exciting Chicago Cubs baseball with the April 8th showdown between the Cubs and their arch-rivals, the St. Louis Cardinals. Veteran Sports Anchors Mark Giangreco and Jim Rose, will join the acclaimed Chicago Cubs broadcast team of Len Kasper and Jim Deshaies as part of the station's 1 PM coverage -- in anticipation of ABC 7's first Cubs broadcast since 1949. (In 1949, the Cubs games aired on ABC owned WENR-TV, a precursor to ABC 7/WLS-TV). Rose will also serve as a sideline reporter throughout the April 8th game. ABC 7 Meteorologist Cheryl Scott will provide the game time forecast prior to the start of the game. Then, beginning with the first pitch at 1:20 PM, ABC 7 will capture all the action with Len Kasper's play-by-play calls and Jim Deshaies analysis. Eyewitness News Anchor Ron Magers will be making a special 5th inning appearance in the broadcast booth. Throughout ABC 7's Cubs broadcast schedule, various ABC 7 talent will be featured in the booth during the home games. A new music and graphics package will be featured for the 24 games the station broadcasts in 2015. "Broadcasting Chicago Cubs baseball on ABC 7 is an exciting moment in our station's history. We are thrilled to be a part of this new chapter with the Chicago Cubs organization and are looking forward to kicking off our coverage with the fierce Cubs-Cardinals rivalry," said John Idler, President and General Manager, ABC 7. 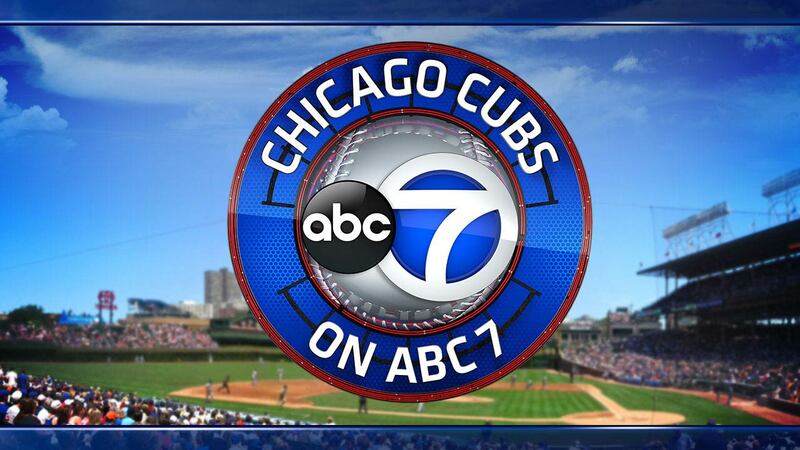 ABC 7 will air 24 games per year through 2019, as a result of its partnership with the Chicago Cubs.